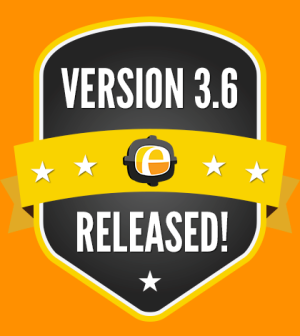 Home > News > Ensemble Video 3.6 Released! Today marks a major milestone in the development of Ensemble Video. We’re announcing Ensemble Video 3.6, which includes a new set of features and integrations, along with our brand new Institutional Settings interface that provides a powerful space for you to administer your Ensemble Video platform. Whether deployed in the cloud or on-premise, leverage the powerful components of Ensemble Video 3.6 and tailor your online video strategy with confidence. To request a trial, demo or upgrade contact us and begin orchestrating your online video today! The Trim Video feature enables Ensemble Video users to easily pull shorter video clips from longer videos, or trim off unnecessary content. The Video Trim feature is non-destructive, so the original file is preserved. Click here to preview the Trim Video feature. Our new Branding settings enable administrators to visually modify their Ensemble Video interface. The following elements can be modified: application logos, interface graphics, login page, login URL and the default identity provider. Click here to preview the Brand an Institution feature. Ensemble Video users can direct their audience to custom short links for videos and video playlists. The permalink feature is a great way to optimize social, email, and other communication activities. Click here to preview the Permalinks feature. 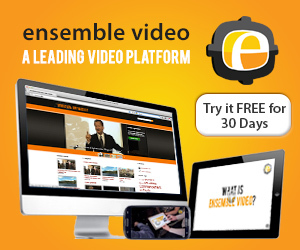 Ensemble Video’s Social Sharing feature enables users and viewers to easily share videos to Facebook, Twitter, LinkedIn, Pinterest, Google+, and Email. Also, this feature is great if you want your audience to share a video using a social media platforms. 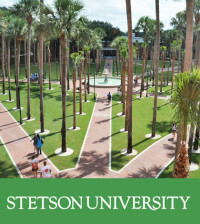 Click here to preview the Social Media Sharing feature. The Viewing Rights feature enables users to add a login form on videos and playlists. The login form will restrict access to content based on the viewers LDAP Group or Ensemble Video account. Click here to learn how to add playlist viewing restrictions. The IP Address Viewing Restriction feature enables users to restrict viewing access to a video playlist based on viewer IP Address or IP Address Range. This feature enables users and administrators to restrict video streaming to a campus network or location. Click here to learn how to add IP Address viewing restrictions. Ensemble Video supports a variety of methods for setting Storage Quotas on Institutions, Organizations, and Libraries. This feature enables admins to set Quotas to ensure that users and organizations have sufficient disk space, while controlling usage of the disk space. Click here to learn how to add Storage Quotas. 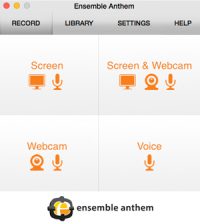 The Ensemble Video platform now supports multiple Portals. This flexible framework enables cloud-hosted and self-hosted customers to create unlimited portals for their institution. The portals support branding, display, and security customizations. This feature will allow administrators to customize and activate the following settings for Institution: Media Workflows, LTI, Identity Providers, Branding and Portals. Multi-tenant administrators can easily create Organizations for their Institution without the intervention of an Ensemble Video staff member. Ensemble Video publishers and viewers will notice improved design and performance of the single video, video playlist and video showcase layouts. Our goals were to make the video pages easier on the eyes and we wanted to speed up the loading time. The Ensemble Video Canvas LTI tool makes it easy to upload, search, and publish media for educators who want to use video as part of their Canvas course. 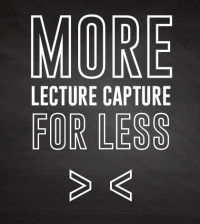 The Canvas LTI tool simplifies life for everyone on campus because all the media is stored and streamed from Ensemble Video, so file size restrictions and encoding issues are no longer an issue. The Ensemble Video Moodle Plugin makes uploading video to Moodle easy for educators who want to use video as part of their course. 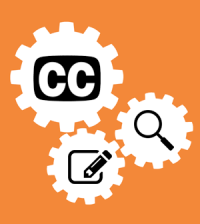 The Moodle plugin simplifies life for faculty and administrators on campus because all the media is stored and streamed from Ensemble Video, so file size restrictions and encoding issues are no longer an issue. Ensemble customers can now integrate with the popular Crestron Fusion RV and Capture HD solution. The Fusion RV room scheduling engine seamlessly schedules recordings via Outlook® and other scheduling tool, then the CaptureHD records the presentation and feeds Ensemble Video to simplify management and publishing from the Ensemble Video interface.